Almost all of us know the drill when it comes to EPSO competitions. We wait for a specific opportunity to open its applications and then scramble off to meet its deadlines. If we miss the dates, then we might have to wait for another year to try again. However with the creation of the EPSO CAST, you can send in your applications anytime you want to pursue that EPSO career! But before we get ahead of ourselves, there are very important things that you must not miss. The EPSO CAST is one of the elusive competitions organized by EPSO. Some deemed it as having an opaque selection test process. While it might be true for them, that does not mean that it has to be for you! So we prepared everything you need to know that will help you in pursuing this opportunity. 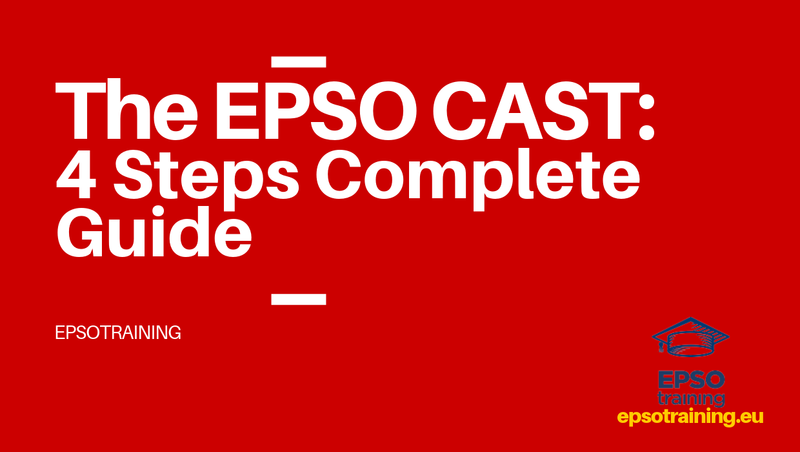 Get to know the EPSO CAST deeper as you move steps towards success! What is EPSO CAST Permanent? To simply put it, EPSO CAST stands for the European Personnel Selection Office (EPSO) Contract Agent Selection (CAST). 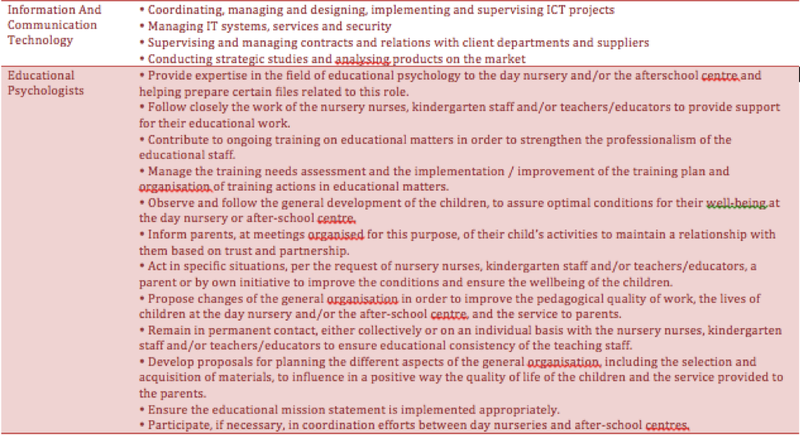 Others would also refer to it as the selection process for “contract agents for specific task”. EPSO launched an open-ended selection procedure to create a pool of candidates from which institutions, bodies, offices and agencies of the European Union (EU) can recruit contract agents. Usually, what you’ll see are competitions bearing the title “CAST Permanent”. This basically refers to procedures launched via open-ended calls for expressions of interest that have no deadline for applications. 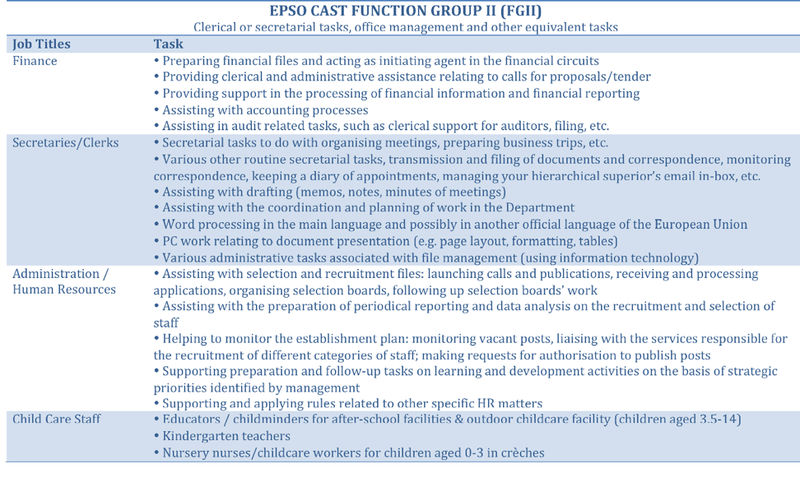 The first function group refers to jobs with duties that consist of manual and administrative support-service tasks performed under the supervisions of officials or temporary staff. 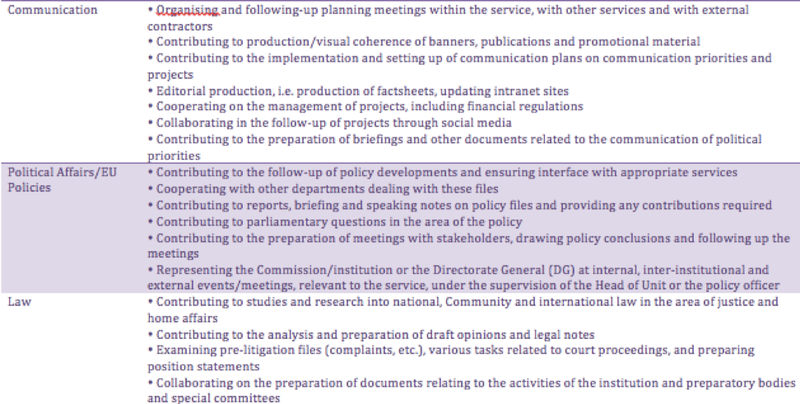 The duties for the second function group consist of clerical and secretarial tasks, office management and other equivalent tasks performed under the supervision of officials or temporary staff. You can also think of it as a counterpart for AST/SC competitions. The third function group applies jobs with duties that consist of executive tasks, drafting, accountancy, and other equivalent technical tasks performed under the supervision of officials or temporary staff. 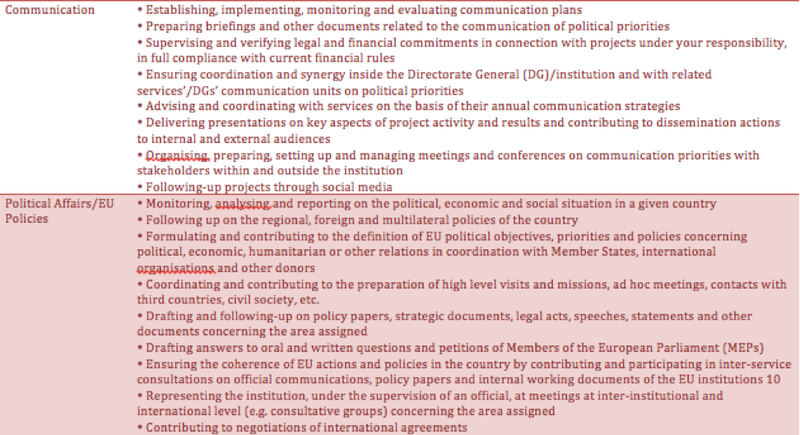 This one is equivalent to the role of AST (assistants) for an EPSO official. 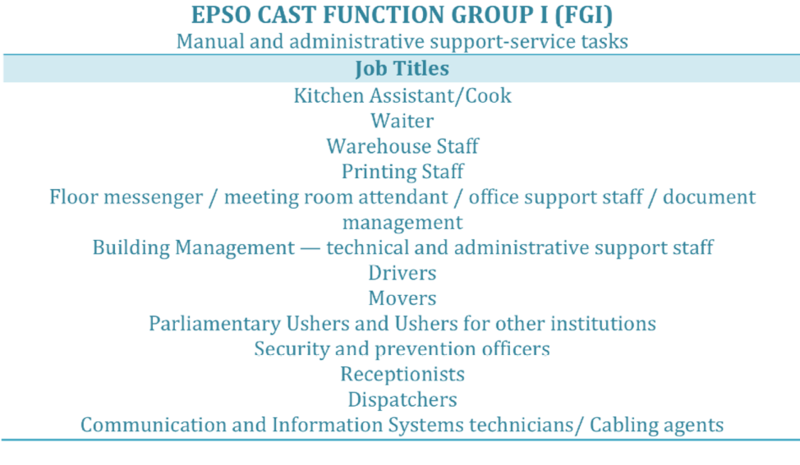 The last function group is the CAST equivalent of the AD or administrator role for an EPSO official. It covers jobs with duties that consist of administrative, advisory, linguistic, and equivalent technical tasks performed under the supervision of officials or temporary staff. With its contractual nature, you’ll find various opportunities to explore other function groups and/or profiles. You may apply for one or more provided that you meet the eligibility requirements. *The official languages of the European Union are: BG (Bulgarian), CS (Czech), DA (Danish), DE (German), EL (Greek), EN (English), ES (Spanish), ET (Estonian), FI (Finnish), FR (French), GA (Irish), HR (Croatian), HU (Hungarian), IT (Italian), LT (Lithuanian), LV (Latvian), MT (Maltese), NL (Dutch), PL (Polish), PT (Portuguese), RO (Romanian), SK (Slovak), SL (Slovenian), SV (Swedish). Where justified in the interest of the service, professional training or professional experience of an equivalent level. Remember though that you must only choose those profiles and/or function groups that you have the most relevant education and experience. Furthermore, submitting multiple applications does not necessarily increase your chances of being preselected. As such, you must put in the best of your efforts to the selection process and exams, which we’ll discuss next. Pre-selection – When needs arise, the recruiting services will search through the database with pre-defined criteria shortlisted candidates who best match the job requirements. Computer-based Multiple Choice Tests (MCQ) – Once chosen, you will be invited to sit the computer-based multiple choice tests in EPSO test centres. Recruitment – If you pass the selection tests, you will then be invited to recruitment tests by the recruiting services. You will undergo an interview and other forms of evaluation process. Passing the selection tests does not necessarily mean you will immediately receive a job offer. If such happens to you, the good thing is that you won’t have to re-sit the computer-based tests—given that another service is interested in inviting you for recruitment tests in the same or lower profile and/or function group. If you fail any part of the selection tests, the recruiting services can still re-invite you with a period of 6 months from the day your results are published in your EPSO account. In the case that you fail to obtain the passing marks, you will not be invited by recruiting services to take the test again for the next 6 months.